Have you seen this beauty? Isn't it gorgeous? Such a beautiful and happy color! :) I'm thinking of ordering it, what do you think? Sorry for not blogging yesterday, even for this bad update, but I have been so busy. Later I'm hanging out with friends! YUP! Have a nice night! Cheers. btw,i'm your newest follower now via bloglovin. Hi Zoe dear! 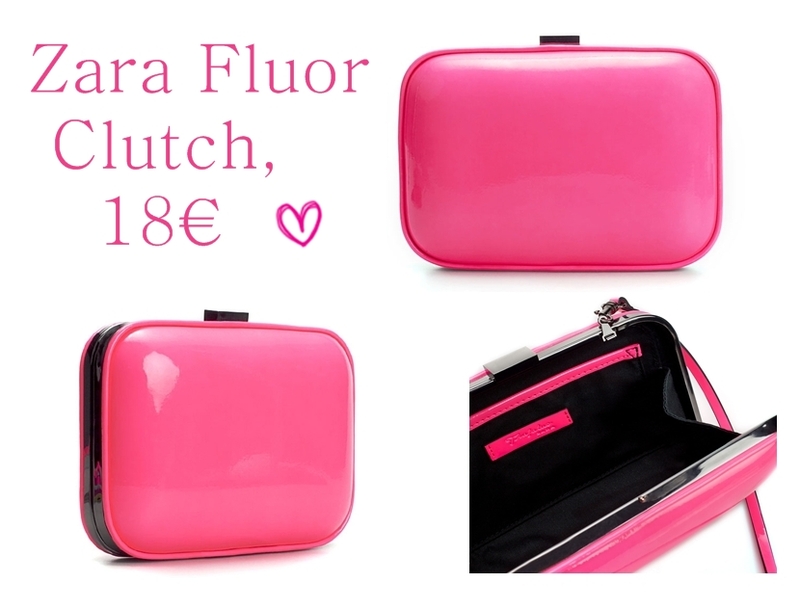 I am sending you a big hug for this post because this is my favourite colour...LoVe this clutch, please do order it, its stunning! Hi dear !! Im back ! Hope you are fine ! this zara clutch is beautiful ! La verdad es que es muy chic y me encanta el color,tiene un precio perfecto, con ideas como estas , este verano vamos a ir todas divinas. Muy bueno el blog. Has visto el nuevo color verde agua que viene este año, me gustaría Comprarme una camisa o un top, con que lo conbino?Alguna idea? omg! this is definitely love at first sight.